Disclaimer: I received this pattern free of charge in return for a review on the CSC. All my opinions are my own. 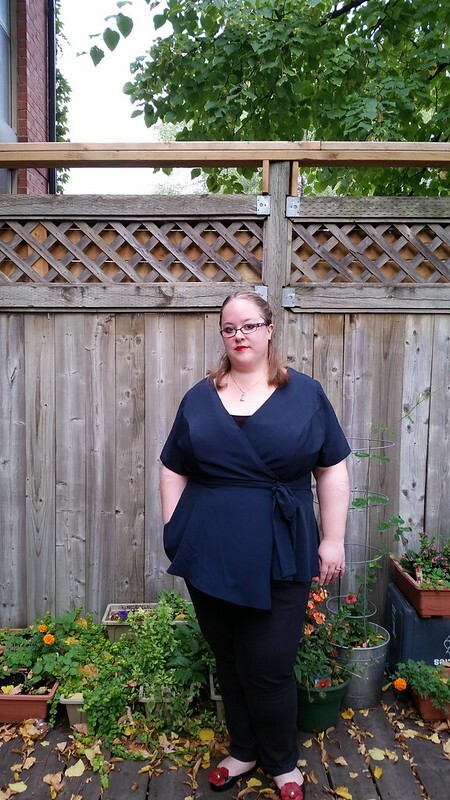 Today, I am sharing my thoughts on Simplicity 8137 in a navy blue crepe lined with black rayon. The pattern includes a top, dress (knee length and full length), and pants. I made the top. 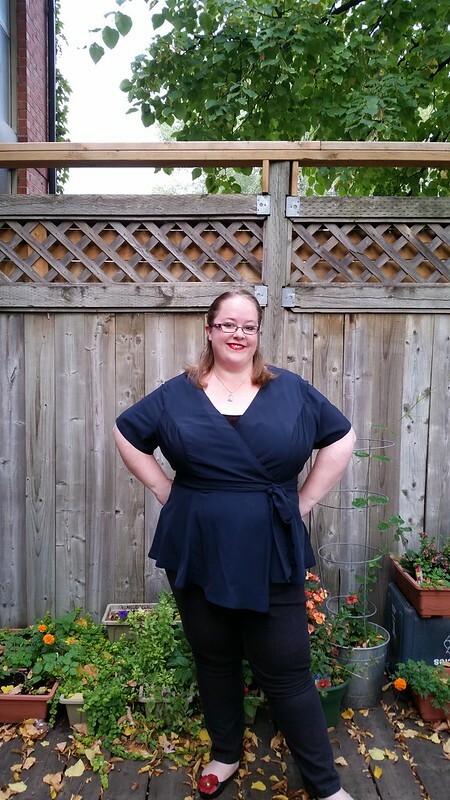 I was given the pattern for free as part of Curvy Simplicity Week on the Curvy Sewing Collective. My review appeared on CSC yesterday. 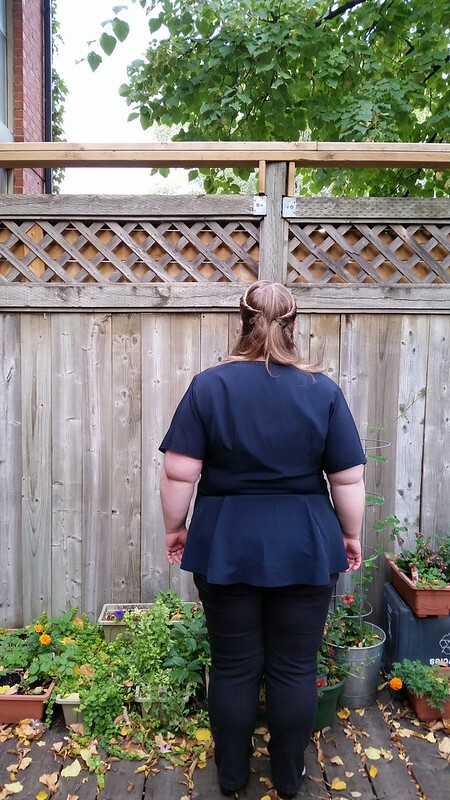 I made a size 28W and did very few adjustments! I narrowed the shoulders by 1 inch and did a large bicep adjustment of 3 inches as well as adding 1 inch to each side seam in order to give adequate room to the armscye for the bicep adjustment. After doing a quick tissue fit, I figured an FBA wasn’t necessary since the princess seams crossed the apex in the correct location, but narrowing the shoulder and a large bicep adjustment would be necessary. This is actually the least I’ve done for anything I’ve sewn up in a while from the Big 4. Simplicity patterns aren’t widely available in Canada due to a pricing dispute between the major distributor and Simplicity. The shipping/duty charges tend not to make ordering from the website manageable so this is only the second time I have used a Simplicity pattern, but after seeing how few adjustments I needed for the plus sized pattern, I will be asking my US friends to send me a couple of patterns in the future. I also have a few in my pattern stash that are probably going to go up in my sewing queue now! Edit: Turns out the shipping costs have gone down significantly since the last time I was looking a few years ago. But the currency conversion and higher cost/lack of sales/duty charges are still an issue and overall it is more inconvenient to order online rather than buy locally. The construction process went okay. The instructions were a bit…lacking. I looked over them several times, but didn’t see where it referred to actually sewing up the lining before you sew the lining to the bodice or sewing the side seams. They aren’t the kind of instructions for a beginner to follow, but I was okay. 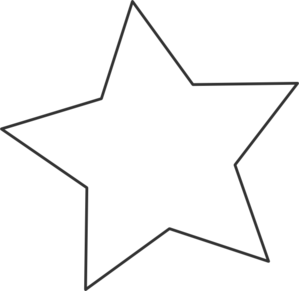 The pattern doesn’t have a difficulty rating, but I would place it in advanced beginner simply based on the instructions. With better instructions, there is nothing at all complicated with the design or construction and a beginner could complete it, but the missing parts would confuse them. I decided to save time and not slip stitch the lining at the waist by hand during construction and simply treated the lining and main fabric as one piece in attaching the peplum to it. It worked out just fine, but is maybe not as neat of a look as the design intended. I finished all my seams on the serger. I think the pattern fits pretty well! I do think it tends toward being wide and low in the v-neck. For someone who works in a conservative setting, this is a slight issue. 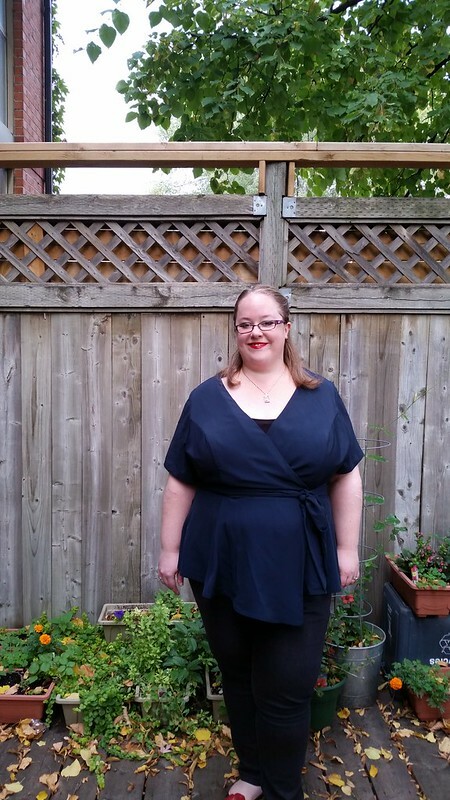 I felt more comfortable wearing a camisole underneath the top as it does go quite low. The wrap top is fixed by snaps and the ties don’t actually have much function beside a design feature and a bit of cinching in at the waist. 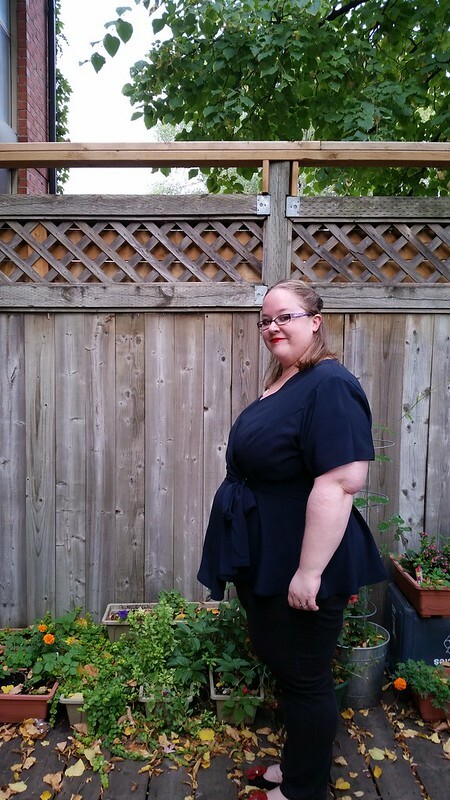 They don’t pull in the fronts as much as traditional wrap tops where they are affixed to the ends of the bodice and slipped through at the waist. That makes the construction a lot easier since they are sewn in at the side seams and waist but it doesn’t help keep the bodice v together like traditional wrap top designs. I think the wrap design is great for my body shape and would work for a lot of people since it goes in at the waist and flares at the hips adding a nice curve. Overall, the fit is really good except for the low front. I will make this again for sure. I will probably add another couple of snaps to this version to cinch in the front and make the v-neckline a bit less revealing. In future versions, I will raise the neckline, as well as add in extra snaps so that the v shape stays in place. I can see this becoming a staple in my wardrobe in both the top version and the dress version. I doubt I will make the pants, though, since my hips do go beyond the 28W sizing and I don’t really wear pants anyway. I can also see how this top would look nice with a pencil skirt or even a circle skirt on the bottom. So, it works quite well with my wardrobe. I can see this becoming a wardrobe staple for me and think you’ll be seeing a full length dress version on me in the summer next year! Pros: Design is super flattering due to the princess seams, ties, and the flare of the peplum. Cons: Instructions were lacking a few details and the v isn’t as cinched in as I would like it. Make again? : Yesabsolutely. I will add more snaps as well as raise the v for modesty reasons. I love a good revealing top, but my work environment is a bit conservative for that. Hi Andie, you’re really looking good in yourself right now. Top looks great on you and I can absolutely visualize you in a dress or two (with different skirt effects) in this style. Responded to your review yesterday on CSC. I’ve actually been looking at a few online shops for this very pattern as the more I see the pictures of your top the more I like it! Plus I think the dress may be what I’m after for my brothers wedding next October! Sew Nice! I want to make this pattern now. 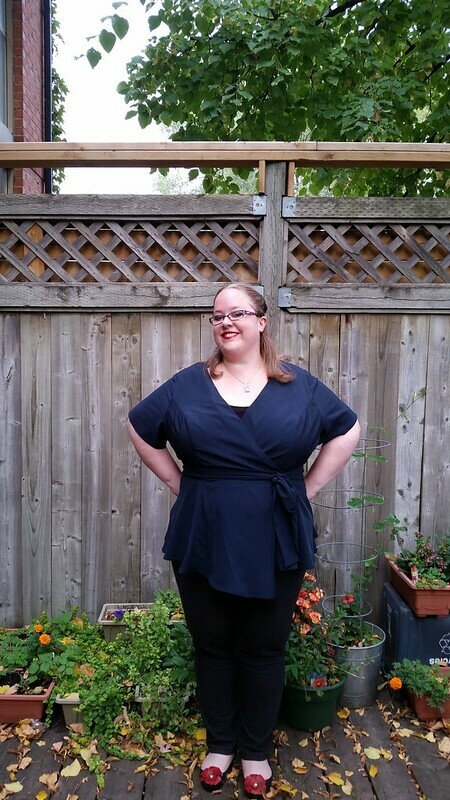 I’m trying to figure out how to make a wrap type neckline higher and still keep the shape of the wrap over the bust. I’m interested in your future blouses from this pattern. I’m amazed at the amount of sewing you do, good job! 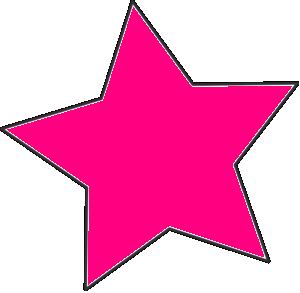 This really suits you! And that is so weird about Simplicity patterns. You’d think major companies would get with the times and realise we are living in a globalised age. Lovely, Andie!! 🙂 Also, Simplicity is on sale here next week 5/$5 if you want me to pick you up some. I also need to get out the vintage patterns I was telling you about and take a pics to share with you! Thanks, Tanya! If you are able, I would love: 8096, 8248, 8249, 8275 (mermaid blankets! ), 8169, 1406, 8163, 8221, 8084, and 8140. Some of those are newly released so they might not be part of the sale. I can send you money via paypal to cover the cost and shipping if you can find any of those. ❤ You rock. Oh i love this! I see it’s pretty plunging on the model, too, but with the neck brought up it would be perfect for my office. Or even as is as a jackety thing maybe? I haven’t sewn heaps and heaps of Simplicity but whenever I have I’ve been impressed. That’s interesting about the pricing dispute! I always wonder about the inner workings of pattern distribution. Thanks! 🙂 I can see this adapted for a jacket pattern. It would be pretty and stylish, I think. Yeah, the pricing dispute fascinated us Canadians for a bit. Now we just want to be able to buy the patterns again! Hahah.